Click the button below to add the ERGObaby - Four Position 360 Baby Carrier (7 Colours) to your wish list. 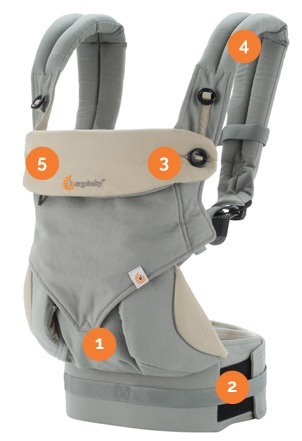 All ergobaby carrier comes with one year local warranty from supplier. We are authorized retailer. Weight capacity: 7-12 lbs. (newborn with infant insert - sold separately) and up to 33 llbs. Nice carrier, easy to use and maintain. Extremely simple to use, comfortable & looks good.